What better way to spend a boring day than crashing a wedding? Play this super cute new game called Barbie And Elsa Wedding Crashers and have a blast joining Barbie and Elsa in trying to make a dull day an unforgettable one! The girls have planned to crash a wedding so naturally, they will need to look gorgeous! Dress the girls in some gorgous dresses, perfect for an elegant wedding, and then go ahead and add amazing accessories such as lush furs and shiny jewelry. 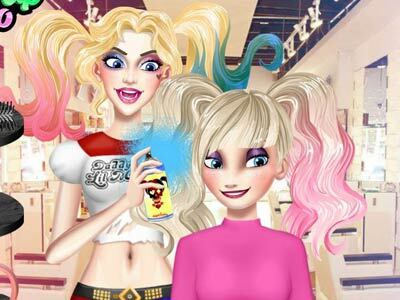 Don't forget to choose a cute hairstyle and finally, have a blast playing Barbie And Elsa Wedding Crashers!